Choosing children’s’ furniture is always a tricky question. Parents, sometimes not knowing exactly what even an adult person needs, try to put everything they like in their kids’ rooms. Different types of things, such as novelty furniture start to appear in children’s rooms. Chairs are getting more and more popular. Indeed, it is really nice for a child to have a bright thing in the room, especially if he/she can use it for playing. 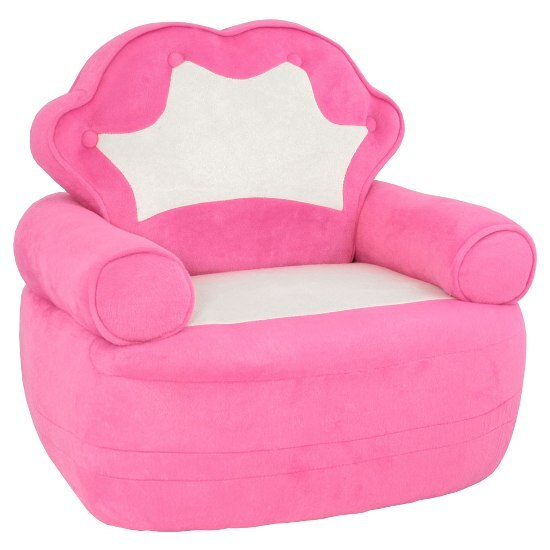 A parent should be quite sure about how to choose children’s novelty chairs, because the impact can really vary. Do you remember what your room meant to you when you were a kid? What is a bedroom, if we think of it now? A place to sleep, relax, sometimes read. A dining room is where you eat and so on. Adults have a rather practical approach to the space. As for children, their room is a place of safety and shelter, a small world, not unlike a real grown-ups’ world they enter when they do the household chores or go to work. A kids’ room is the place where they find out about the world, learn something new every day. Up to the certain age, children don’t give too much attention to how the furniture gets to their room. They just know it is there and use it for playing, thus, expanding their outlook. It is the duty of a parent to organize the space as good as possible for their kids. At some point, there should be only the furniture which is really required, such as a crib, a changing table, later on — a bed, etc. Novelty chairs appear at the very point when a child needs it. When it is bought too early, a child, not understanding a purpose of it, still gets used to it and later does not show a tiny bit of excitement. As anything else in the room, a novelty chair should be safe and eco-friendly. Thus, depending on the age, it should be as steady as necessary. It should also be made of quality material, and be easy to clean, especially from dust, as children really need fresh air. A parent should always be wise, no matter whether it concerns choosing a child’s school or a child’s furniture. We have already discussed the practical side of how to choose children’s novelty chairs, but as mentioned above, children are not practical. Think of what your children are interested in, what games they like to play. It is not that good when a parent buys stuff and thinks that a child should be grateful and excited a priori. You should really consider whether a child will enjoy the room in general and every element of its decor in particular. None of the less importance is the fact that a novelty chair should let parents keep their children preoccupied and interested. It will give a mom a free minute while giving a child great deal of fun.